2 Beds 2 Baths 1,081 Sq. ft.
Nice split level 2/2 townhome in the historic district. Nice open floorpan with kitchen oven to dining and living. Fireplace, high vaulted ceilings, nice outdoor living space with covered parking. 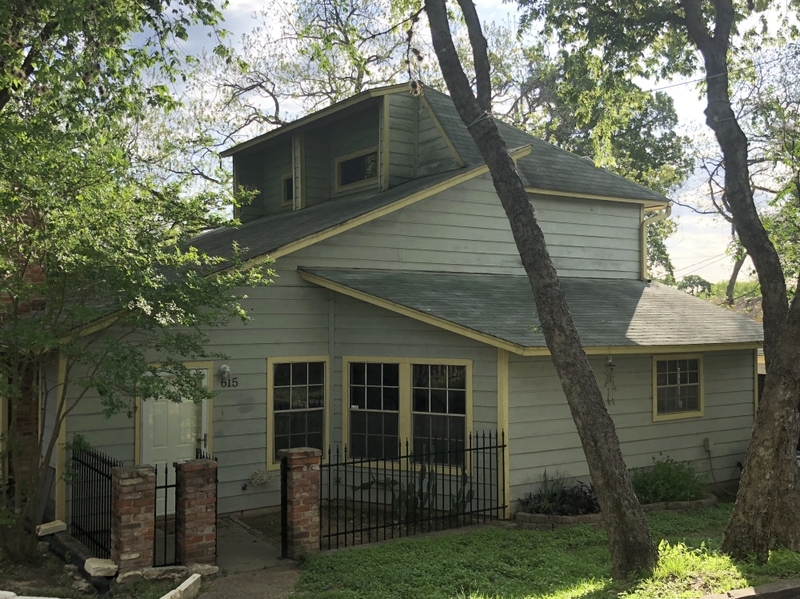 Located a short walk to downtown and Texas State University.